With this version, users will tap into vital and practical customer contact info, item status in the warehouse, customer pricing and a bunch more. Enterprise Edition is the ultimate sales machine. 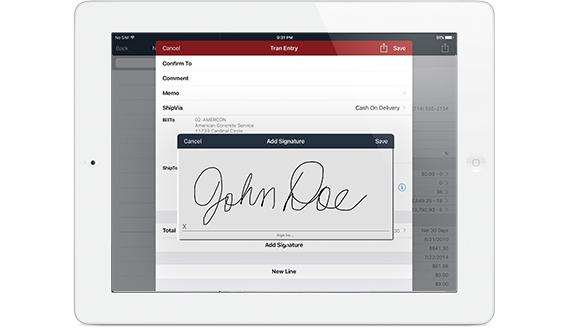 Take payments**, process invoices, allocate lots, serial numbers and so much more. Your B2B sales team will be ready to win against any competition. but this is promotional pricing and only available for a limited time. So act now! Think of the power if everyone in your organization was better informed about your customers and the things you sell. What if everyone on your team was fully equipped to take an order whenever and wherever they are. All straight from their pocket or purse. Unlimited users means anyone in the world can be your salesperson. Imagine if you could have your customers download an app and have them self-serve their own accounts, enter their own orders, answer their own questions about balance due or product availability. Maybe they even want to pay by credit card payment. That's what iSales 100 does. 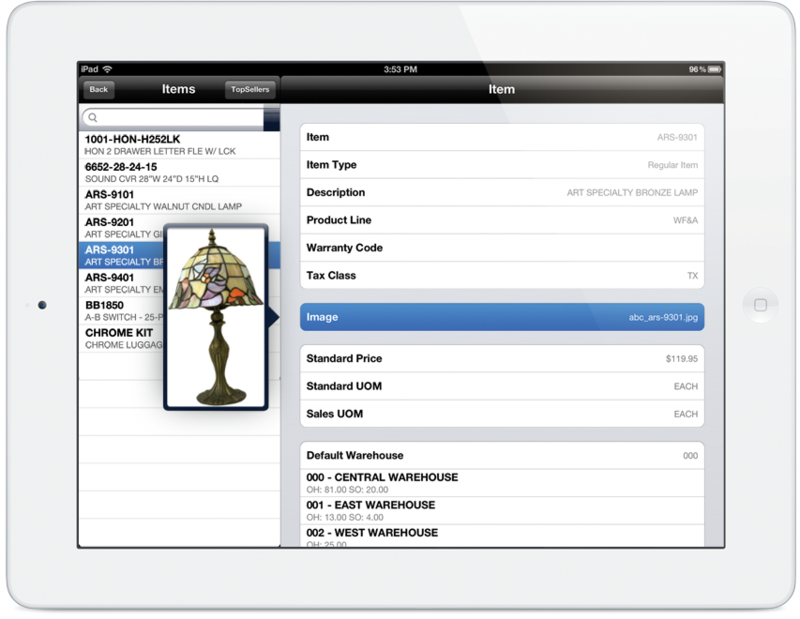 Imagine 100 or 10,000 customers now with the ability to order from you - right from their iPhone or iPad. Have you ever thought about having that sales app branded as your own? We offer that too. Modernizing your business has its advantages.